Welcome to this University of York research project, telling the story of a building at the heart of government in Britain for more than seven centuries. 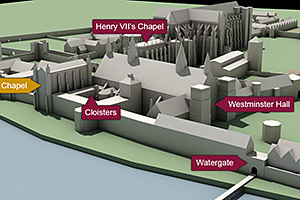 Use our 3D visualizations to explore the royal Chapel of St Stephen and its conversion to become the first dedicated House of Commons. Funded by the Arts and Humanities Research Council, in partnership with UK Parliament. 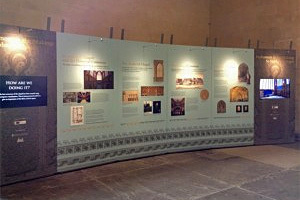 Find out more about the 'St Stephen's Chapel, Westminster' project. See our project team, and access a breakdown of the project events and milestones. 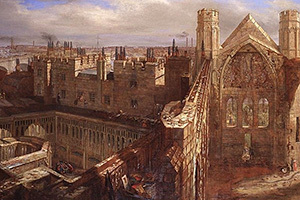 Explore the story of St Stephen’s, from its beginnings as a royal chapel, its role as the House of Commons, through to its final destruction by fire in 1834. Throughout the project our blog has provided insight into our research. 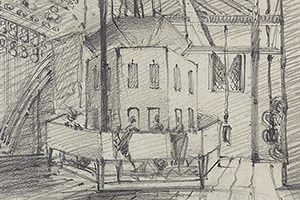 Discover more about the architecture, art, politics and social history of Westminster. Our AHRC follow-on project explores the acoustics of the historic House of Commons and the experience of women listening from the ventilator.